Toyota will be joining the NASCAR Nextup Cup series with it’s Toyota Camry. I suppose this will give some inspiration to whoever that owns a Camry and is getting tired of it’s looks. Heh. Toyota already has a vehicle in the NASCAR race, but it’s a Toyota Tundra pick-up truck. 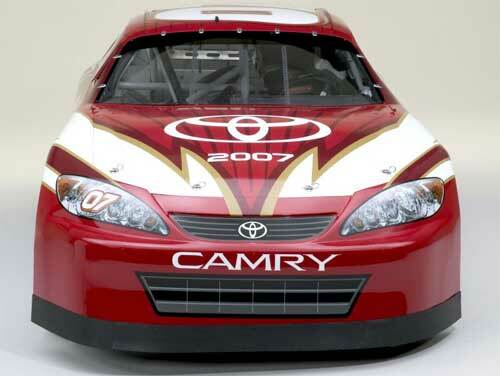 The NASCAR Camry looks seriously weird to me.